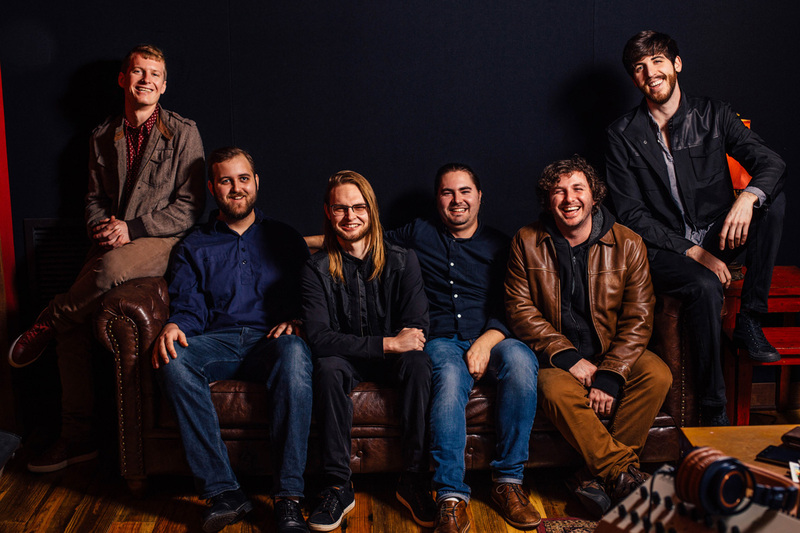 Naughty Professor is an iconoclastic New Orleans-based jazz-funk sextet whose adventurous recordings and horn-charged, high-energy live performances have earned them an enthusiastic fan base, critical acclaim, and widespread attention from their musical peers. Their diligent roadwork has established Naughty Professor as a beloved live act. Weaving together complex, inventive compositions and loose, organic improvisation, the band honors their hometown's jazz, R&B and brass-band traditions while looking to the future. Naughty Professor raises the stakes on its new album Identity (Release date June 23rd, 2017). Where their prior four releases showcased the group's knack for self-contained instrumental experimentation, Identity finds the band teaming with a stellar assortment of more than a dozen cutting-edge collaborators, whose vocal, instrumental and compositional contributions expand the music into new musical territory. A wide range of musical impulses has driven Naughty Professor ever since the band members first convened in 2010, having met while students at Loyola University's jazz program. The musicians' potent collective chemistry quickly won attention on the New Orleans music scene. After graduating, they began touring, expanding their audience nationwide. Naughty Professor's first three albums—2013's Until the Next Time, 2015's Out On A Limb and 2016's live In the Flesh—further raised the band's national profile. Lauded by critics for having a musical “depth and vision far beyond their young years,” Naughty Professor’s name regularly appears alongside New Orleans’ veteran luminaries. In 2013, the band was nominated by Gambit' Weekly’s Big Easy Music Awards for "Best Emerging Artist," and for "Best Funk Band" every yearsince. Naughty Professor was also nominated in 2015 and 2016 by Offbeat Magazine’s Best of the Beat Awards for "Best R&B/Funk Artist." Naughty Professor has shared the stage with artists such as Galactic, Snarky Puppy, Victor Wooten, Rebirth Brass Band,Fitz and the Tantrums, The Revivalists, Big Sam's Funky Nation, Papadosio, George Porter Jr., The Soul Rebels, and many more. 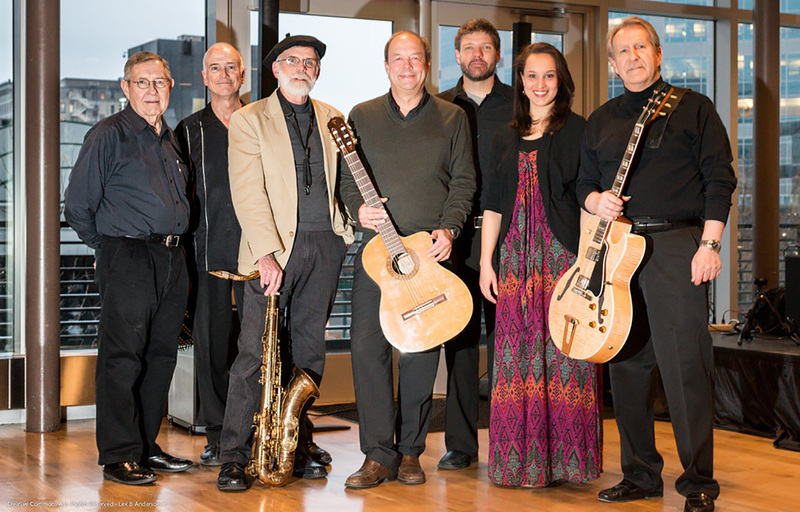 The “Evening in Brazil” ensemble debuted in 2009 in a performance at Utah State University’s new state-of-the-art Performance Hall playing Brazilian music from the Bossa Nova movement. The show was very well received and has now become a yearly late winter, sold-out event. Performers include Mike Christiansen, Professor Emeritus of Music and Former Director of Guitar studies in the Music Department at Utah State University. He averages over 130 performances annually as a soloist, with Lightwood Duo and with the band, Phase II. Mike is the author/co-author of forty-one books (thirty-seven of which have been published by Mel Bay Publications), has recorded thirty-five CDs, and appears on twenty-eight instructional DVDs. He studied in Brazil with Antonio Adolfo and Thiago Trajano. Saxophonist and clarinetist Eric Nelson performs regularly with the Lightwood Duo and with the rock/jazz band Phase II. He is active as a freelance musician in the Salt Lake City area, where he performs with the Utah Chamber Artists, Ballet West Orchestra, Contemporary Music Consortium, and the Utah Symphony, and in New York with the Riverside Trio and Wagner/Nelson Chamber Jazz. He also teaches music in the public schools. Christopher Neale, (formerly Professor of Irrigation Engineering at Utah State University) is now Director of Research at the Daugherty Water for Food Institute at the University of Nebraska. He is a native of Brazil where he completed degrees in Civil Engineering and Classical Guitar. He studies contemporary Brazilian music and provides the Brazilian guitar beat to the ensemble’s music. Linda Linford was born in Boston, and grew up on the East Coast in a bi-lingual household before coming to school at Utah State University. She has been singing and playing piano since she was 6. In high school, she participated in classical vocal competitions and had the opportunity to sing in Carnegie Hall. She came to USU to continue studying vocal performance and pedagogy and graduated in 2013. The ensemble also includes Lars Yorgason, a highly sought-after freelance bassist in the state of Utah. He has performed with many of the all-time jazz greats in America. Lars has taught jazz at the University of Utah, Weber State University, Utah State University and 15 years at Brigham Young University. Don Keipp, on percussion, is Professor Emeritus of Music at Weber State University where he directed numerous bands and ensembles. His musical studies have taken him to many countries allowing him to expand his collection of world percussion instruments. As a freelance performer, Keipp has performed with the Salt Lake City Ballet Orchestra, the New American Symphony, the Utah Symphony, the Ogden Concert Band, and the Crestmark Orchestra in Logan. He performs regularly with the Joe McQueen Quartet and the Junction City Big Band. Travis Taylor is an Ecologist employed by a local environmental consulting company in Cache Valley. He grew up in Ogden, UT where he studied drums with many renowned northern Utah percussion instructors, including EIB’s own Dr. Don Keipp. 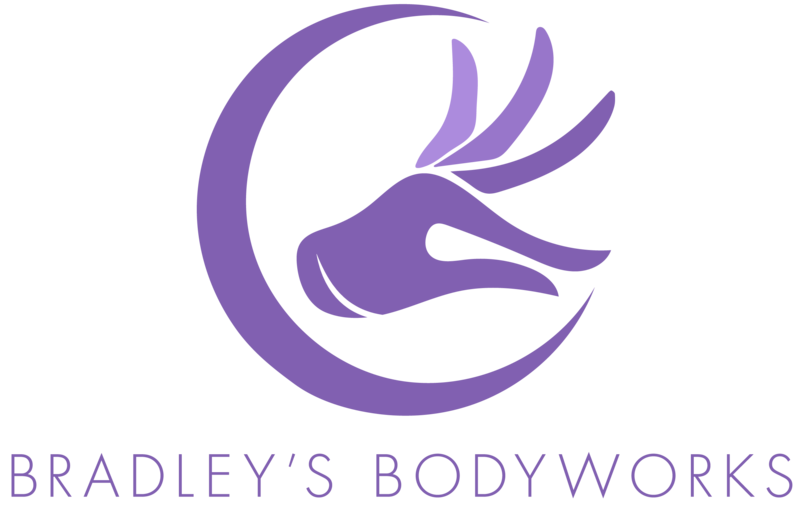 Travis has occupied the drum throne for a variety of well-known northern Utah area bands, including the regional bluegrass/rock/jam band Tanglewood, which toured throughout the inter-mountain west, west coast and Pacific Northwest. After moving to Logan, UT in 2003 to study Ecology, he was fortunate enough to perform with many Utah State University jazz ensembles and combos including Dr. Larry Smith’s Jazz Kicks Band. He continues to perform regularly with a number of talented musicians and musical educators and is always quick to say yes to the next gig. The evening’s program will include a number of classic works by Antônio Carlos Jobim (1927-1994) the Grammy Award-winning Brazilian songwriter, composer, arranger, singer, pianist and guitarist. Music from other composers from the Bossa Nova era will also be presented as well as from other contemporary Brazilian composers, exploring different regional rhythms of Brazil. 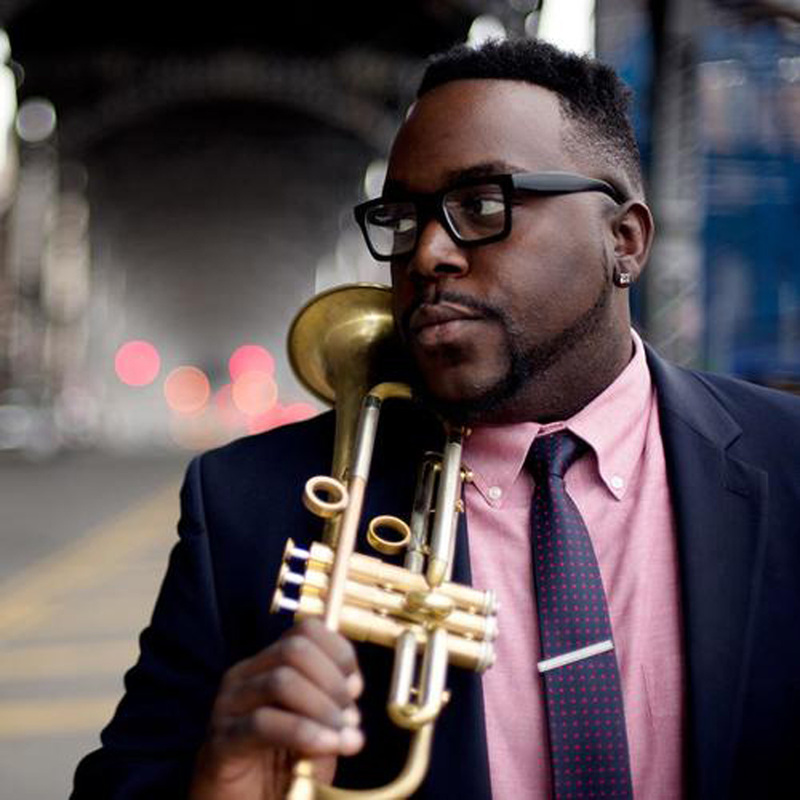 Born in Chicago in 1987 and raised on the city’s culturally rich South Side, Hill began playing drums at age 4, before switching to trumpet in the 6th grade. He attended high school at Kenwood Academy, excelling in its revered jazz-performance program, and was mentored by Bobby Broom, Willie Pickens, Tito Carrillo and other Chicago greats through the Ravinia Jazz Scholars program. Hill earned his bachelor’s in music education from Northern Illinois University and his master’s in jazz pedagogy from DePaul University. During college he made gigs and sessions around Chicago, jamming with and absorbing wisdom from the likes of Fred Anderson, Ernest Dawkins and Von Freeman. Even then, Hill was known in town as a stunningly gifted trumpeter with a soulful, highly textured tone. His sound is now somehow both deeply distinctive and a tour through jazz-trumpet history, evoking the high-drama stillness and space of Miles; the undeniable virtuosity of Clifford Brown and Freddie Hubbard; the groove-savvy phrasing of Lee Morgan and Donald Byrd; and much more. A move to New York in 2014 helped him gain wider exposure and new opportunities—though he frequently returns to his hometown for gigs and projects—and in recent years Hill has garnered an enviable spate of press. Previewing a Blacktet show, the New Yorker said, “His performances and recordings reveal a smart post-bop player who circumvents genre clichés by incorporating elements of hip-hop and contemporary R. & B.” Of The Way We Play, Down Beat wrote, “The groove-laden arrangements provide the perfect soundscape for Hill’s fluid improvisational style, which, with its glass-like lucidity, recalls the crisp elegance of hard-bop stalwart Donald Byrd.” In 2016, Hill earned first place in the “Rising Star–Trumpet” category in that magazine’s storied Critics Poll. Throughout his journey, he has supported and guested with a who’s who of jazz that includes Marcus Miller, Dee Dee Bridgewater, Boney James, Kurt Elling, Joe Lovano and Hill’s trailblazing Chicago peer Makaya McCraven. London-based saxophonist and composer, Nubya Garcia, is one of the leading forces behind the resurgence of jazz-influenced sounds in the UK. Raised in a creative environment built by a set of Caribbean parents, her brand of afro-tinged Jazz has made her a key component in a string of new and established groups: from work with MOBO Award-winning drummer, Moses Boyd, legendary Jungle producer and toaster, Congo Natty, through to her own works as part of six-piece, Maisha, and the Nérija septet. 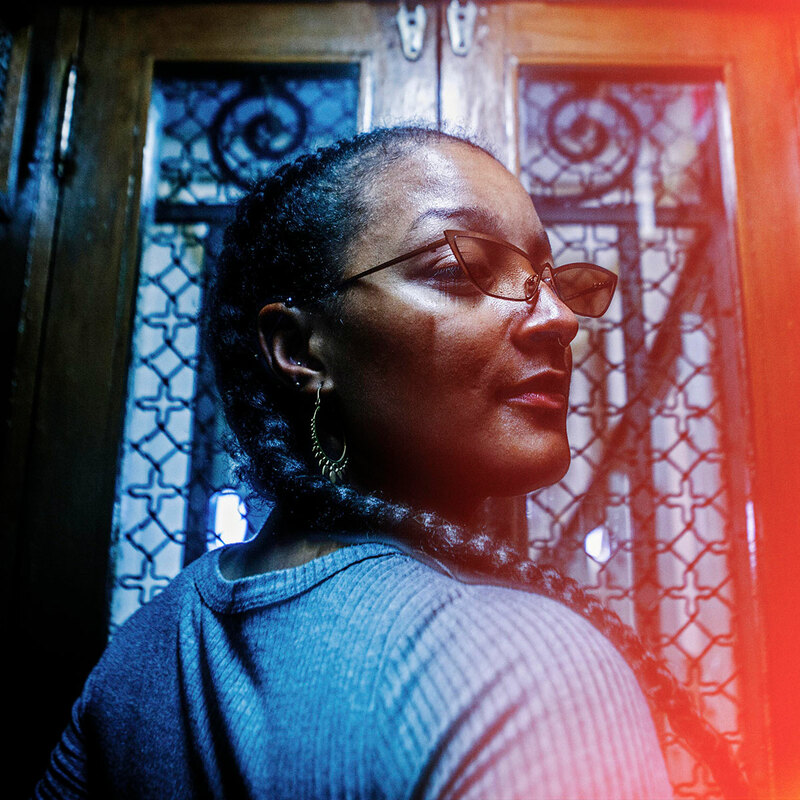 Nubya fearlessly threw herself head first into this 5ive project, her debut recording, with a clear vision of what she wanted and was meticulous in her pursuit of her sound. Enlisting the help of fellow musical comrades from an exciting new wave of London based talent, Nubya tapped into well-seasoned, harmonious relationships with players that know and understand her –and this joyful union radiates through her compositions. Jazz in June is an indispensable celebration that brings the community together to enjoy a distinctly American art form with a broad cultural heritage. It is a vital multigenerational Lincoln tradition that thousands of people value and continue to embrace. The University of Nebraska–Lincoln and community partners are charging Lincolnites to invest in this local treasure. Individuals or organizations who would like to make financial contributions and/or serve as a volunteer or board member at Jazz in June should contact Spencer Munson at jazzinjune@unl.edu. Design & development by UNL IIM.